Home > Aquarium Maintenance > Cleaning & Maintenance > Antired 500 Ml. Antired will successfully eliminate red slime algae in salt water aquaria. 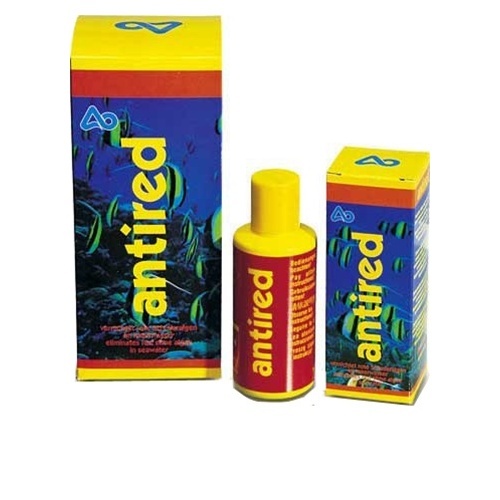 Antired is safe with invertebrates, is not harmful to nitrifying bacteria, and it promotes the growth of higher algae. The protein skimmer must be running and carbon filtration discontinued during the treatment. Dead and dying algae must be removed mechanically. 500 ml treats 500 gallons.